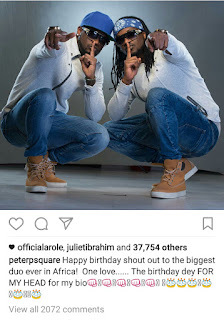 As the popular icons and former Psquare, Peter and Paul Okoye, added another year today, Peter Okoye, who is recognized as Mr P since their indispensable separation, pushed the misunderstanding and division aside to celebrate themselves as he shared on Instagram with their photo to notify people that today is the birthday of the biggest duo in Africa. 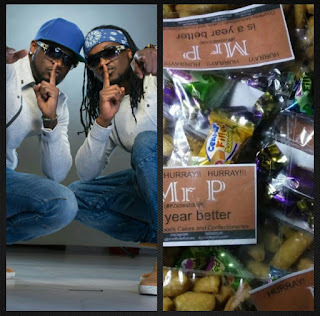 Although, it has been brought to our notice that the duo have gone their separate ways since their unsettled face off, but blood will always be ticker than water. 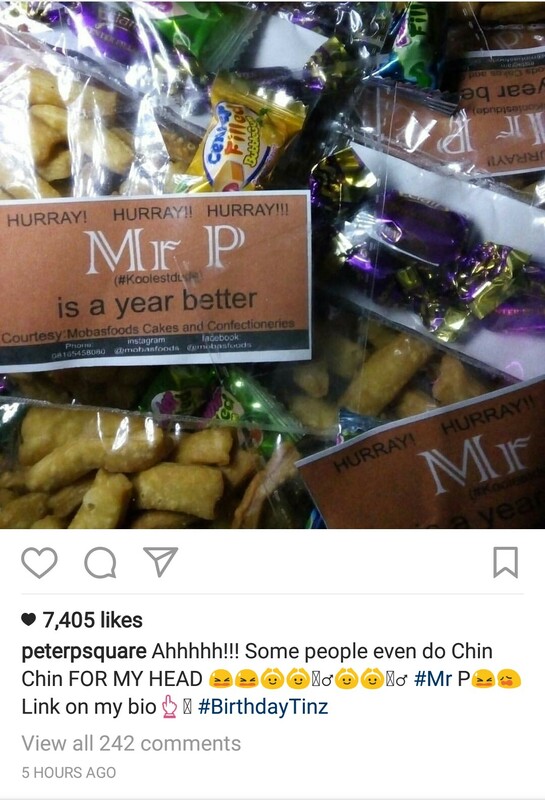 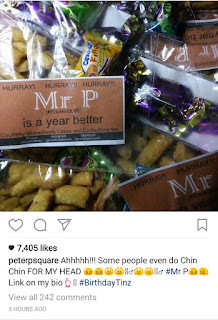 In marking the birthday, well wishers went extra mile to produce Chin Chin labeled Mr P.